Welcome to the official site for the DIVISION 3 QUALIFIERS. PVAAU Boys Basketball will be hosting this 3 day event at TBD - from Friday, May 13 2016 through Sunday, May 15 2016. 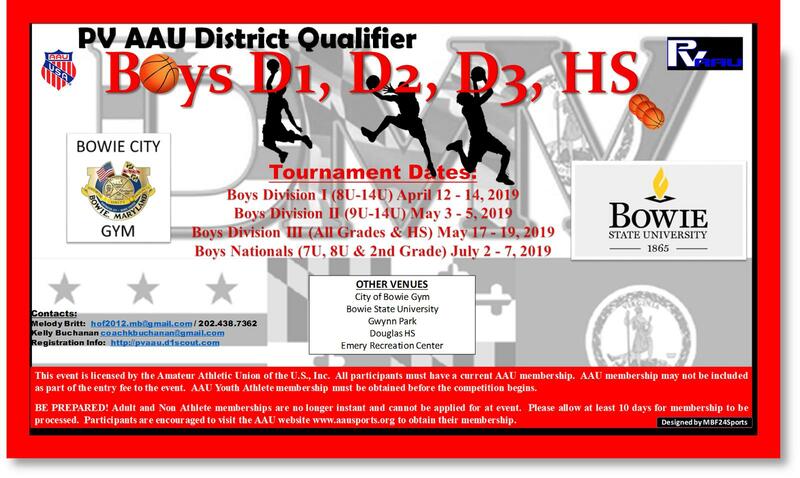 The DIVISION 3 QUALIFIERS brings together many of the nation's top Club, Travel & AAU programs to compete on a highly visible stage. The 2016 event will include up to 5 division - 10U,11U,12U,13U,14U. Each age group will include up to 20 of the top travel teams from across the country, bringing some of the top competitors to center stage. While considerable attention will be focused on the top prospects, the DIVISION 3 QUALIFIERS also provides coaches, spectators and fans with a tremendous opportunity to scout the up-and-coming talent. Players always make their mark on the basketball circuit at tournaments such as the DIVISION 3 QUALIFIERS. Don't miss out!!! Be there, play hard, and make your mark this season. While considerable attention will be focused on the top prospects, the DIVISION 3 QUALIFIERS also provides coaches, spectators and fans with a tremendous opportunity to scout the up-and-coming talent. Players always make their mark on the basketball circuit at tournaments such as the DIVISION 3 QUALIFIERS. Don't miss out!!! Be there, play hard, and make your mark this season. Team roster must be submitted 30 minutes prior to each game. Team roster is limited to 12 players. A teams roster becomes official and frozen at the end of the teams 2nd game. All players shall play for only one team. Teams will not be permitted to participate until all fees have been paid. All teams must wear basketball jerseys during their games. Each jersey must have the same color and they must have numbers. Basketball shoes must be worn. All jewelry must be removed. Necklaces, earrings and watches can not be worn during the game. Each participating team must have an adult coach on the bench at all times. All players must have signed a wavier/liability form and an official roster sheet prior to the start of the first game. The entry fee deadline is due before the 1st game. Cash or Money orders only. No personal checks. Entry fees are non-refundable. Game Clock: Games will consist of two 16 minute halves. The clock will stop on all fouls and violations only during the last ten seconds of the first half and the last two minutes of the second half. The clock will not stop if a team is ahead by 15 points or more. 10 minutes will be given to warm up. Games will be played with 5 minute half times. Overtime: All overtime will consist of three minute periods with clock stopping with fouls and violations in the last one minute. Time Outs: Each team will be given 2 time outs (1 minute) per half and they will not carry over. In case of overtime, 1 extra time out will be given. Grace Period: A five minute grace period will be allowed for tardiness and then if a team does not have four players to start the game, the game clock will start. Eight minutes will be allowed for a team to present four players to start. The team ready and waiting will begin amassing two points per minute up to eight minutes. If at this point a team does not have four players to start, a forfeit will be declared. Team Fouls: Players will be given 5 fouls per game. Bonus shots will be given after the 6th team foul, and the team will be in double bonus after the 10th team foul, per half. Technical Fouls: All technical fouls will count as a personal foul. A player who receives a technical foul must sit out of the game for three minutes before he/she will be allowed back into the game. If a player receives a second technical foul during the same game, the player will be ejected from the tournament. 3-Pointers: High School 3-point line will be utilized in all games. (19' line)Pressing: Full court pressing is allowed, however, there will be no pressing if a team is 20 points ahead. All participates, coaches and spectators shall refrain from using profanity or verbal abuse towards other players, coaches, spectators, referees and the tournament staff. This is a Drug and Alcohol Free Event. No alcoholic beverages or drugs are allowed on the premises. Any coach or player(s) engaged in the use of alcohol or drugs will be disqualified from further participation in the tournament. Team coaches will be responsible for the conduct of their players. Teams and spectators shall abide by the tournament rules and regulations. No food or beverages are allowed in the gymnasium. Only water and sport drinks will be permitted. The Tournament Director and the tournament staff are not responsible for any personal items that are left behind, lost or stolen. Fighting is an attempt to strike an opponent with the arms, hands, legs, feet or a combative action by one or more players, a coach or other team personnel. Any member or team personnel who participates in a fight shall be immediately suspended from the game for the duration to be determined by the Tournament Director and their Associates. Length of suspension will be assessed on an individual basis and may be up to six months in duration. Let it be known that spectators and visitors who too elect to involve themselves in a fight during a game, will be suspended from the facility for a length of time to be determined by the Tournament Director and their Associates. Should any team, player(s) or coach be disqualified from tournament play, there will be no refunds. Only the opposing teams coach who is playing the scheduled game can protest a players eligibility. Player eligibility protest must be taken to the scorers table before the start of the game. Documentation/proof must be presented upon request. If the coach cannot provide proper proof of age for their player(s) being protested, then player(s) will not be allowed to participate until proof is provided. The game will not be stopped to handle the protest. If the player(s) show up late and the opposing teams coach wants to protest the player(s). That protest will take place at half time only. If the player(s) being protested at half time cannot provide proper proof of age then the player(s) must sit until proof can be provided and that team will be charged with a technical foul. As a result, the opposing team will get two free throws and the ball. 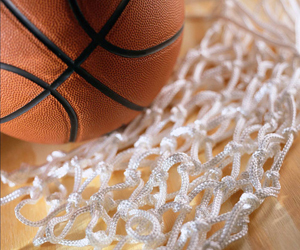 The Tournament Director has the right to alter rules, bylaws and bracket structure as needed. To download the schedules please click on the files listed below. Please check your email for any schedule changes. Sorry the PDF you are looking for cannot be displayed. All individuals who engage in coaching activities at NCAA certified events must be approved through the NCAA Participant Approval Program administered by First Advantage prior to participation. Event operators are instructed to require coaches to show a State or US Government issued picture ID during their event check-in procedures to ensure that only approved coaches are granted the ability to participate. Previously when completing the First Advantage application, a randomly selected 10 question quiz served as the educational component. That test has been replaced by a more significant educational component on a separate website - The NCAA Eligibility Center Coaching Education Course; a FREE course developed by the NCAA Eligibility Center and the National Federation of State High School Associations. Click the link below followed by “Please Login to Order”, then click “Register Now” to create your account. After you register, click “Order Now” to begin taking the free course. A coach or team administrator will need to register their team in the NCAA Basketball Certification System(BBCS). The entire team needs to be entered along with the coaches and their approval numbers. Once the team information has been entered, the team will need to “opt in” to the event(s) in which they would like to participate. This can be completed by clicking “edit team events” on the team page in the BBCS. We will have every approved event posted and the coach/team administration will need to put a check mark next to the event and click the save button.